It’s Roma week. 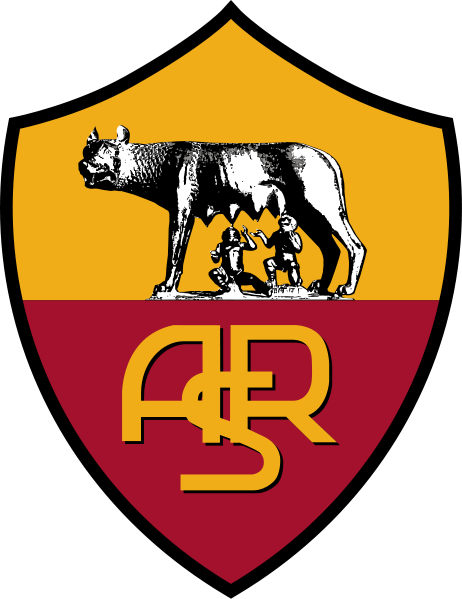 A club everyone should know, Roma are one of the biggest teams in Italy but have never been THE biggest for a prolonged time period. They’re currently undergoing a fascinating revolution under manager Luis Enrique and new owner Thomas Di Benedetto, and I look forward to covering them. Lots of history, lots of great players and plenty of easily-accessible information. Lovely. It’s Christmas on Sunday but I should be able to get 5-6 bits and pieces posted this week. I’m obviously not going to do anything on Christmas Eve or Christmas Day but I should be able to write in advance and queue everything up. Ah Udinese, that great Italian “farm” team. Calcio’s answer to Arsenal in many ways, the Zebrette are a fantastically well-run club with intriguing, well-defined philosophies. I’m very familiar with the club’s present state but not so well read on their past. There are plenty of topics for me to discuss this week and I’ll endeavour to get through as many as possible. One thing that immediately jumps out at me is that Udinese currently have a Scotsman on their books: Liam McCarthy, a midfielder, who is apparently on-loan at Anderlecht. As a Scotsman with an interest in calcio and my countrymen trying their luck abroad, I’d love to learn more about McCarthy and how he got to Udinese. Tomorrow (or tonight if I find the time) I’ll deliver a quick look at Udinese’s history. 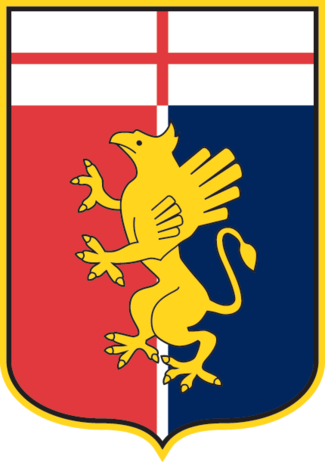 This week I’ll be researching and writing about Bologna, who up until about 24 hours ago I was convinced had been a mid-tier Serie A side since the dawn of time. Apparently not: it seems Bologna have won the Italian championship not just once, but seven times. Seven times! That’s four more than Roma and five more than Lazio, Fiorentina and Napoli. It turns out that Bologna, like Genoa, were a dominant force back in the day, but I’m still blown away by this revelation. This week’s format is going to be a bit different. Instead of just throwing a quick history report together on the first day of writing, I think I’m going to use most of the week to explore Bologna’s heritage. They clearly have a lot of amazing stories that I know nothing about, and it’d only be right to dive into the most significant years of the club’s activity. My shock at Bologna’s glittering past only compounds the size of the task ahead of me! Unione Sportiva Cittá di Palermo. The Rosanero, the Aquile. The Sicilians. They of pink shirts, trigger-happy ownership and midtable solidity. This should be a good week. Palermo have a lot of interesting facets (I could easily spend the whole week writing about Maurizio Zamparini alone) and a successful history. They’ve spent a lot of time outside the top tier but also a lot of very credible Serie A finishes over the past few seasons. Plenty of good players call Palermo “home,” they’ve played in Europe and their manager’s story is as compelling as any in football. Like last week I’ll endeavour to post something new every day. There’s plenty to write about, and I’m particularly excited at the prospect of uncovering more instances of Zamparini’s madness. Check back tomorrow for a context-setting look at the Rosanero’s history. Having focused on Internazionale for the past week and a half it’s time to move from one Nerazzurri to another. I haven’t done too well with the “smaller” clubs thus far but I’m hoping that’ll change this week (and yes, I mean “week”). It’s hard to find decent information on the provincial sides without digging deep, so that’s exactly what I’ll be doing. I don’t know a lot about Atalanta but I understand they’ve been in and out of Serie A for a several years. They were also involved in a scandal last season that saw captain Christian Doni hit with a hefty band, so I’m interested in learning more about that. Atalanta have had an excellent start to the season considering they’re a newly promoted side, so I’ve plenty to look at there as well. All-in-all, this should be a productive wee. I aim to post something new every day. That doesn’t mean I’ll be able to come up with six or seven pieces, but I’ll certainly try. That was a lot of fun. It’s a shame that “Genoa week” turned into “Genoa fortnight,” but I probably should’ve seen it coming. Blame my birthday celebrations for the tardiness, but I managed to cover everything I wanted to write about in the end. Maybe next time I’ll expand on the 2005 match fixing scandal and their dodgy owner, but I’m pretty satisfied with what accomplished. I’ve learned a lot this past couple of weeks and I definitely feel a stronger affection for Genoa because of it. This has been the most in-depth and educational club to cover, and I put that down to the wealth of Genoa information available in English. If only covering every club was this easy! Looking forward, I’m going to be covering Lecce this week. I know absolutely nothing about this team bar their name and colours. 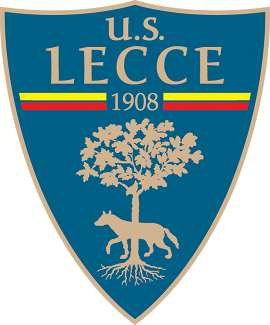 Honestly, I can’t even name a single Lecce player off the top of my head. I am therefore anticipating this to be a busy week: literally everything I learn about Lecce will be new to me, and I’ll have to pick and choose what to write about. As always I’m excited to be getting my teeth sunk into a brand new team. Check back soon for more on Lecce. This Week on ATP: Genoa C.F.C. It’s been a good week despite the over-run. Parma have probably been the most enjoyable club to study thus far. In hindsight I would’ve liked to have touched more on their European triumphs and fall from grace in the 2000′ rather than using my knowledge of ’90’s Parma as a crutch, but I’ve had great fun reminiscing on so many great memories. Some of the squads Parma had in the ’90’s were just ridiculous, and it’s amazing that such a high volume of top notch players passed through the Tardini during that time period. I could easily have spent another week writing about Parma, but I’ve got to move forward to this week’s feature club. Genoa have always intrigued me in the same way as Torino. They’ve won Serie A and have a very rich history, but that’s about all I know. They weren’t particularly successful during the formative stages of my calcio eduction, so I’m not as knowledgeable on them as I am Parma, for example. There’s so much information available on their history that I should be able to sufficiently educate myself this week. One thing I find particularly interesting is Genoa’s apparent “English roots”. Honestly, I don’t have a clue what that means, but, as a Brit, I’m really looking forward to finding out.